In honor of the fact that open enrollment for California’s health insurance exchanges went live on October 1st – leaving California citizens, of course, with many questions – it’s decidedly worth reviewing what this means for the state. Covered California is a new by the state, for the state agency that was put in place in order to supervise the buying and selling of health insurance and to help enroll eligible candidates for coverage. There are three main demographic groups who will benefit from the new healthcare exchanges: the poor, the low-income working class, and anyone who buys their own insurance. Essentially, anyone with an income below $15,400 per year will be qualified to take advantage of Medicaid – or Medi-Cal, as it is known in California. It is projected that this will help some 2.3 million uninsured Californians enroll in an individual California health insurance plan within the next 3 years. Under this new plan, legal immigrants are eligible to purchase insurance plans through Covered California. They are also available for the government subsidies if they are qualified in terms of their income. However, illegal immigrants cannot buy insurance and are not eligible for Medicaid. 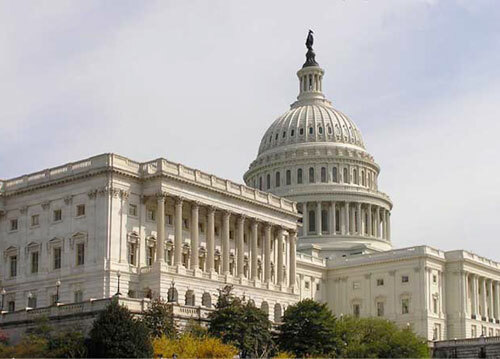 Essential benefits are required under the new act, which include ambulatory patient services, emergency services, hospitalization, maternity and newborn care, mental health and substance abuse services, prescription drugs, rehabilitation services and equipment, laboratory services, chronic disease management services, preventative and wellness services, and pediatric services. What are the bronze, silver, gold, and platinum color codes? As the result of these changes, it’s estimated that 2.6 million people will now be qualified to take advantage of financial assistance in paying for health insurance. Another 2.7 million will be newly eligible for guaranteed coverage. Emergency services will no longer be denied to those who can’t outright afford it in the state of California. Perhaps you’ve never had it. Perhaps you just ended your policy. Perhaps you lost it and don’t think you can afford a new policy. No matter what your situation may be, you are not alone – millions of Californians are currently without health insurance, but the state is working on this issue to make health insurance more accessible. What you should know is that your situation isn’t helpless. Affordable insurance is an option for nearly everyone in the state of California; it’s all a matter of shopping smart. If you’re in the market for health insurance – and no one should be going without doctor’s visits, prescription drugs, emergency care, and more – take these tips into consideration. 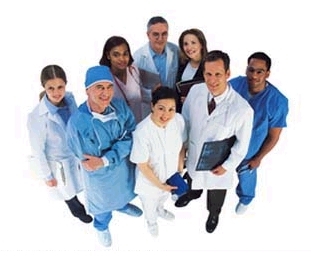 Did you know that there are plenty of professionals from organizations such as the Patient Advocate Foundation that can assess your unique situation and provide you with advice that’s personalized for you? It’s never a bad idea to have someone with experience and knowledge to provide you with information about your options to ensure you end up with a policy that’s sufficient in terms of both coverage and affordability. After you’ve got the proper guidance, begin searching for health insurance. You could potentially go through your employer, but sometimes it’s more affordable to get your own policy. To see if this is the case in your situation, make use of a website that offers California health insurance quotes so you can do a coverage and cost comparison on policies from a number of different providers. A lot of families think that since they don’t quite qualify for Medicaid, they won’t be able to afford getting health insurance for their children. This isn’t the case. Even in the event that you do make too much money to qualify, your kids might qualify for the State Children’s Health Insurance Program or one of the many other government programs. Read about what it takes to qualify for SCHIP in the State of California. If you’re affected by a specific disease, you probably spend more on average on healthcare costs than many other California residents. However, this also means that you could qualify for financial assistance. There are many charities and foundations that offer assistance to sufferers of specific diseases, such as Heart Support of America and Empowered Patient. Don’t hesitate to take advantage of one of these foundations if you find that your health insurance policy simply isn’t getting the job done. Health care in California is a big point of discussion in current politics what with the complete overhaul that’s currently underway. This overhaul includes the Affordable Care Act, an act put in place to help ensure that more underprivileged individuals and families are granted access to affordable health care in their state. For some, this will have no effect; for others, it will be a big game-changer. 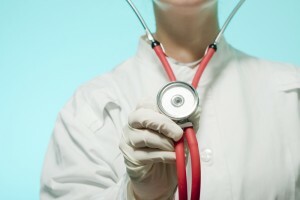 Many small-business employers will now be able to offer healthcare more affordably to their employees, and there is now a standard for what certain health care companies can offer. The current issue, however, lies in the fact that more than half of the population doesn’t know that they can now afford coverage. A recent poll, called the Field Poll, surveyed uninsured, low-income voters who would technically be qualified candidates for health coverage. The poll found that more than 50% of these people either a) did not know that they qualified for health insurance, or b) believed that they did not qualify for health insurance. When participants who were qualified, but not under an employer, were surveyed, the percentage who did not know about their qualification was even larger. Clearly, the state of California has an issue of awareness on its hands. It’s now up to the state agency who is behind the Obamacare overhaul to inform and educate the public about the fact that they may be newly qualified or able to get more affordable care. As of right now, advertising seems like one of the only options. Statewide, we may be looking at an investment of over $300 million that will go toward the endeavor of spreading the word about new health care. This will be in various forms – from door-to-door visits to online advertisements, all geared toward the uninsured and convincing them to take what’s theirs. Since lack of healthcare is a huge issue in the United States, it’s important for California residents to be aware that they might qualify for policies with Health Net California or one of the many other reputable insurance agencies. Many citizens tend to tune out when they hear mention of “health care reform,” but since this plan is put in action to literally revolutionize the way that lower-income residents buy and use their health insurance – while making the stipulations more transparent and the competition and pricing more fierce – it’s an act that pertains to everyone. Do your research! If you live in the state of California, you’ve probably heard word of the federal health reform – known officially as the Affordable Care Act – that has been put in place. Many of these changes have already occurred, while others will be implemented on intermittent dates for the rest of 2013 and well into 2014. Perhaps the biggest change is the introduction of Covered California, the new health insurance marketplace designed to ensure that buyers are getting health insurance policies that meet federal standards for quality and create a competitive landscape for insurance providers. If desired, consumers can still purchase their policies through brokers and directly through licensed carriers; however, the government will be providing subsidies to qualifying patrons through the marketplace. For customers who wish to use the Covered California marketplace, the open enrollment will begin on October 1, 2013 and end on March 31, 2014. 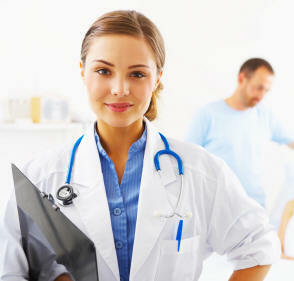 This is the time period during which the buyers can obtain their California family health insurance for the 2014 year. No matter how you choose to purchase your health insurance, you’ve likely seen and will continue to see the changes in healthcare benefits that have been implemented. For one, the age cutoff for coverage for dependents is now 26 years old, regardless of their current residency, education, employment, or marital status. Furthermore, no enrollees with pre-existing conditions can be denied if they are under the age of 19. While formerly there was a limit on the amount of dollars spent in a lifetime – and sometimes, annually – in healthcare on a specific enrollee, that provision has been lifted. Women’s preventative health services will now be free of charge under the new act as well. Finally, patients have more rights to choose their primary care provider; there is no longer a necessity for a referral for an OB/GYN, no increased copay for out-of-network emergency care, and no need for authorization for emergency visits. In tandem with the changes to provisions will be the enforcement of new rules. For one, health insurance providers must continue to provide care during time when an appeal is still pending. Under the New Rescission rules, a person cannot have their healthcare rescinded once enrolled under an Individual and Family plan unless they have intentionally misrepresented their facts. Those enrolled in small group health plans will also notice that the Medical Loss Ratio, or MLR, has changed – no more than 80% (85% for large groups) of revenue can be spent on medical costs; if this number is exceeded, the covered person will be entitled to a rebate. Finally, and perhaps most importantly, all covered persons will receive standard documentation that thoroughly outlines their policies to avoid confusion and insufficient coverage for costs. Though the healthcare changes got mixed reviews from the public, the changes are put in place and should benefit the customer overall. In the United States, healthcare is a topic that is consistently on the tongues of legislators, and yet somehow, it’s still not discussed enough – especially when it comes to young adults (aged 18-24). In fact, young adults make up the segment of the American population that is most likely to be uninsured due to losing coverage once they’re off their parents’ plans. According to the 2007 bureau, nearly 8 million young adults went without health insurance – that’s 28% of that age group’s population. So what exactly are a young adult’s options for health insurance? Not every workplace offers it to new employees, but that doesn’t leave you high and dry. You do have options, in part due to the implementation of the Affordable Care Act. Many young adults aren’t aware that they can still be insured as a dependent on their parents’ healthcare plans after they turn eighteen. Due to the Affordable Care Act, you can still be listed as a dependent until you’re 26 years old if you don’t get job-based coverage. This buys you a little extra time to get settled into a career and get job-based coverage or find an independent plan. If you don’t have health insurance because you can’t afford it, 2014 may be your year. Starting next year, unemployed adults with limited income may be eligible for free health insurance through Medicaid. It may become your only option if your parents don’t have health insurance and you’re self-employed, unemployed, or new to the workforce. Buying health insurance, if you can afford it, is sometimes a necessity – though it might be a bit expensive, an uninsured trip to the hospital is even more expensive. It’s all about shopping smart. Remember that a lower premium, though it may appear to be more desirable, usually offers less comprehensive coverage or a very steep copay. Try using sites that offer health insurance quotes, like this one for Anthem Blue Cross of California, while also having thorough information about the coverage, and choose the best option. Remember that if you buy a short-term plan just to last you until you get a better one, it will likely be expensive and have limited coverage, so only do so if necessary. If you’re newly married, don’t forget about maternity coverage – this is something newlyweds often forget! And finally, there are many new changes coming in 2014 that will benefit the unemployed and low-income workers. Getting a quote has never been easier in today’s marketplace. 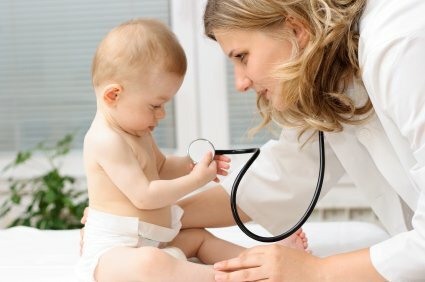 By visiting www.healthinsuranceoutlet.com, you can quickly get health insurance quotes from all the major carriers in California. Additionally, you can filter by how much you want to spend, what type of plan and coverage you want, and also by which carrier you prefer. Individual California health insurance can be a little complex if you do not have the right tools in place. With our quick and easy process, you can obtain all the information you need to make a correct choice about health insurance. If you are having trouble deciding which plan is best for you, call our experts and they will assist in making you sure you pick the right coverage for you and your family. In California, there are many options when it comes to health insurance. Many carriers are trying to sell you their insurance plans based on the strength of their network, coverage and affordable prices. 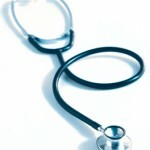 However, recently, it has been more and more difficult for consumers to find affordable health insurance plans. This does not just apply to California health insurance plans, many people across the country are dealing with high price insurance options. This is part of the main reason Obama passed the health care reform laws over three years ago. His ultimate goal is to make health insurance more affordable for all Americans. In 2014, no one can be denied health insurance, regardless of your pre-existing condition. So this is a really good thing. However, no one really knows the true impact that will have to prices. Keeping the cost constant for a bit, then it will come down to coverage and carrier. When shopping for individual health insurance in the near future, it will be important to understand everything you are getting when making a decision. Research if your doctors are covered with the carrier. Know what is the difference between out-of-pocket maximums and deductibles. Figure out which coinsurance limit will be best suited for you and your health history. We will find out real soon how the health insurance industry will evolve because of the health care reform. 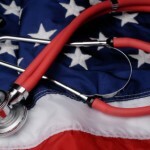 The major provisions from the health care reform are less than a year away. The main one being that all Americans must have health insurance starting in 2014 or they will face a penalty. The penalty will actually be in form of a tax. If you do not have health insurance in 2014, then you will either pay $95 at the time of taxes or 1% of your income, which ever is higher. For the majority of working Americans, they will face expensive penalties if they do not get health insurance. In California, there are currently about 8 million uninsured. So it is safe to assume that a large pool of people will be entering the insurance market in California. However, it might not be as easy as it seems. Meaning, it will actually cost a pretty penny to get health insurance. Especially if you were one of those people that never needed it, are younger and did not want to pay monthly to have it. 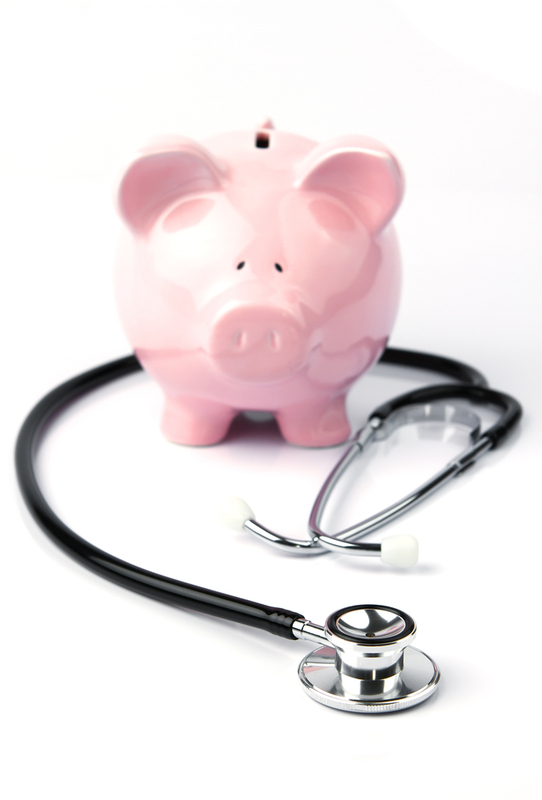 Health insurance carriers are forecasting that individual premiums will increase 30% to 100% in 2014. So, why will health reform make it more expensive to get health insurance? Well, many of us are asking the same question. In addition to the price increase, the plans will be redesigned as well. There will be different levels of coverage options. The goal is to simplify the options for consumers and also to make the benefits more rich in nature. For people that are looking to get a subsidy from the government, that will also have its requirements. First, you will have to apply for health insurance through the state exchanges that are scheduled to be operational by 2014. Also, there is an income hurdle to qualify. To get a subsidy, you can not make more than 400% of the poverty income level. So that means that many of the 8 million Californians without coverage right now might not even qualify for a discount. As we get closer to 2014, we will release more information about the changes coming about. As the exchange era approaches and the reform bills take affect, many are still wondering what the overall result will be. As of late, many have seen there health insurance premiums double with no explanation. Also, many are still without health insurance because it is still way too expensive. 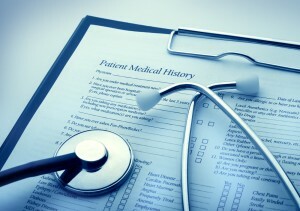 It is estimated that there are still over 40 million Americans without health insurance today. That number is obviously why President Obama is trying to overhaul the system with his laws that were passed over two years ago. In California, there are currently over 8 million uninsured, one of the highest figures in the country. So, how will the exchanges get these millions of Americans insurance? How long will it take for everyone to get health insurance? 5 Years? 20 years? Another question, will people simply pay the fees associated with not having insurance because that it is still much cheaper than actual health insurance premiums. Many people who make $10 dollars an hour, trying to make a living, do not have and can’t afford to get health insurance. America needs quality leaders to oversee the health care system and the implementation of it coming next year. Most are predicting that the healthy will pay for the poor, just like the rich pay for the poor when it comes to government programs, etc. Next year everything takes affect, we will find out soon. Obamacare has been at the forefront the last three years and has been one of the most important issues the Obama administration has handled in their term. As Obama’s four year term is coming to an end and the new term is starting, many consumers are wondering why insurance premiums are continuing to rise. Also, many are now questioning how it will all of sudden start to decrease starting in 2014. Aetna, one of the largest insurers in the United States, says health insurance premiums may go up as much as 20 to 50 percent in 2014. 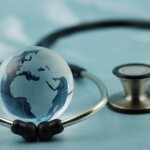 Blue Shield mentioned that some markets may even double by the time the health care reform really starts in 2014. So why is this really happening? Many critics of the health care reform saw this coming from a mile away. This is because, starting in 2014, no one can be denied health insurance coverage. Anyone can apply through the health insurance exchanges, or direct, and get approved for health insurance even if they have a pre-existing condition. From a care standpoint, this is obviously a great thing because everyone should have access to care. However, from a pocket book standpoint, everyone will pay the price. The main reason for this is because the healthy will have to pay for the sick. There are 8 million uninsured in California alone that might be entering the market starting in 2014 when its required to have health insurance. The sick pool will need the most money to pay for their claims, and that will only come from the healthy. The health care laws also state that the premiums can not vary too much based on age and that it will be a community rating. This will probably benefit the older more than it will the younger. Since the older population have higher health costs, the younger segment will pay for this difference. So what do we do at this point? Well, there actually is no easy answer to that. We have to all hope that the reform rules and regulations will not effect the market as much as all these top insurance carriers do. President Obama and former Governor Romney had a very heated debate last night in Denver. Many topics were covered, including economy, tax codes, and government regulation. However, perhaps the most heated and important topic discussed was about the health care reform and the future of health care. President Obama of course backed up his plan that he put in place over two years ago. He sited many benefits of the reform, such as no pre-existing condition clause and no lifetime maximum. Mitt Romney actually passed a similar plan on the state level. When he was governor, he passed a reform similar to what Obama passed on the federal level. The main topic that was debated though was about state versus federal regulation when it comes to health care. Mitt Romney wants states to take control and have the freedom to implement strategies and reform as they see fit for their state. President Obama thinks that the federal government should have the ultimate control. The both went back and forth, talking about control and power. Also, health care costs was also at the forefront. Romney maintains the position that the reform passed by Obama will make health insurance premiums rise and make it even more unaffordable for Americans to purchase health insurance. President Obama wants the health insurance exchanges to be a foundation for competition, which he thinks will ultimately drive down the price of health insurance. There are two more debates left before the election. Many issues, including health care reform, wait in the balance. In California, Anthem Blue Cross and Blue Shield are actually different companies and are competitors. In most other states, they are the same company and formed an association, the Blue Cross Blue Shield Association. Anthem Blue Cross is a for profit company in California, and Blue Shield is a non-profit. 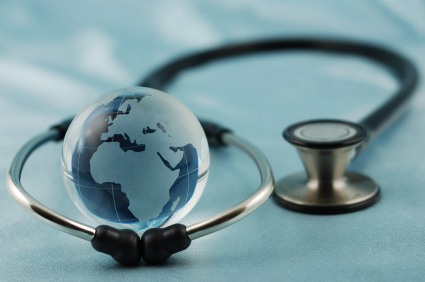 Both insurance companies have large networks and very good doctors. Anthem Blue Cross does more volume in California than Blue Shield does and they have more members. Also, the network of hospitals and doctors is the largest under Anthem Blue Cross. Ous website, sells more Anthem Blue Cross plans than any other carrier. That being said, many other carriers have strong plans and networks – Blue Shield, Aetna, Cigna, Healthnet, and Kaiser. Depending on what types of benefits you want and how much you want to spend, picking a carrier will become easier once you narrow down the options. 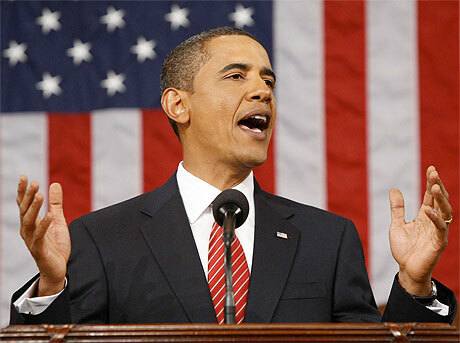 President Obama passed the health care reform over two years ago. The law has been debated for just as long and will continue to be. The Supreme Court ruled to upheld the law and kept most of it intact. The biggest part being debated was the individual mandate. After all was said and done, everyone will be required to have health insurance starting in 2014. 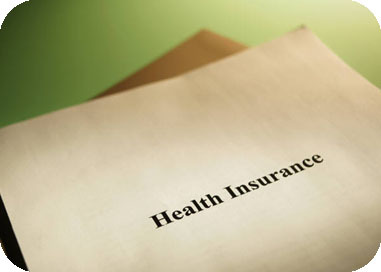 Only with a few exceptions, most will have to purchase health insurance by that date or they will face a fine. More importantly, there is no pre-existing clause. 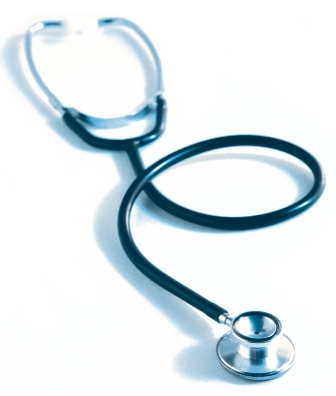 Meaning, no one can be denied health insurance because of their current health status. So, if someone has terminal cancer, they will still be able to get health insurance to help pay for medical bills. Now, there are two ways to think about this. Of course, it is a great thing that those that are sick will not be denied health insurance. One of the leading causes of bankruptcy is unpaid health insurance bills. However, this benefit does not come without its consequences. So, if no one can be denied health insurance; then what will stop the problem of adverse selection. Meaning, carriers will draw more sick people than anticipated and this will drive up the cost of insurance…..for the healthy people as well. Here is an example, someone just found out that they have cancer and they do not have health insurance. Once they hear the news, they go and purchase the gaurenteed insurance and start to use it. One year later, the cancer is gone and now the individual cancels their insurance policy because they would rather pay the fine on a yearly basis then the high monthly premium costs. This example shows that the cost of the medical services to treat the cancer (surgery, radiation, etc.) was probably in the millions, and the premium collected by the carrier was probably in the low thousands. So the math does not add up. Who will make up the difference? The answer is the healthy people. This is the problem we will face in 2014, and why health insurance premiums will continue to rise in the coming future. Many people today worry that they might not have the right insurance plan in place. There are many moving parts and many things to know when you buy health insurance. For instance, you must know the difference between things like deductible, out of pocket maximums, carriers, etc. Many questions we get are about these benefits and what really is the difference. Well, the answer is straight forward but not very easy to decide on. Usually, the higher the deductible you choose, the less expensive the insurance plan will be. That being said, the benefits are not as rich and it might cost you in your pocket book if you start to utilize medical services a lot. Healthier people choose higher deductible plans because they obviously use the doctors less, so they will and can take the risk. If you are approaching higher age brackets, it might make sense to choose a plan with a lower deductible. Yes, this plan may be more expensive than the average plan, but you will save money in the long run if you start to use medical services. The main thing is to know your health history and choose accordingly. That way, when you do receive care you know that you have the right coverage in place. In California, all individual and family health insurance plans added maternity coverage starting in July. That is great news for a lot of people. This is because, before, many plans did not offer coverage and the ones that did were very expensive. Additionally, many individuals would wait until they were expecting a child and then apply for coverage. Health insurance carriers viewed this as a pre-existing condition and many would deny coverage to the applicant. Now, because of the health care reform, maternity coverage is included on the health insurance plans. And the coverage is good because it covers the doctor visits, ultra-scans, and hospital stays. An interesting fact about hospitals stays though, is that some hospital charges will actually be accessed on the child. So its important that you add the new born quickly to the plan. In California, most carriers give you 10-30 days to add the child to the health insurance plan. Individual health insurance plans are different than health insurance plans you might of had while working for a company. Individual plans do not include all types of coverages so it is important to read the benefit details before choosing a plan. are well aware of these high costs and will usually decline coverage if you apply after the fact. Other types of services usually not covered by health insurance are physical therapy, fertility treatment, cosmetic or elective surgery, weight control services and many other things. 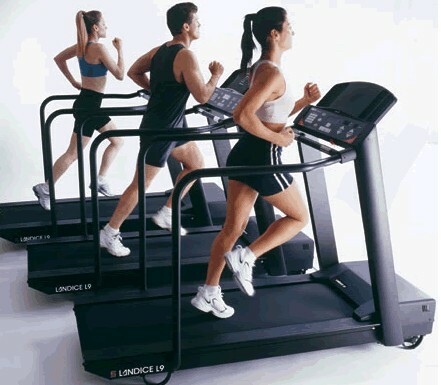 It is extremely important to know what types of services you need based on your current health. And also, to read the benefit details before making a final decision on the health insurance plan. Why Does Insurance Keep Rising? Each year, consumers see their health insurance premiums increase and there are no signs of it getting better anytime soon. Why do these premiums keep going up and not down? Why hasn’t the government stepped in and tried to help? Well the quick answer is that the government passed the health care reform with the exact attempt to make health insurance more affordable for everyone. The reason premiums increase each year, and why the health reform was passed, is obviously very complex and confusing. Starting with the health care system, all the way from hospitals to doctors, is very broken and tiered. 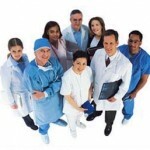 Meaning, there are many doctors that are incentivized by different things. Some want to see as many patients as possible, which obviously lowers quality of care. And some doctors, only deal with certain markets, providers, carriers, etc. and that leads to other hosts of issues. The only way that health insurance will become affordable is if people do not game the system. The major reason health reform might not succeed is that adverse selection might become a big issue. Since pre-existing conditions will not be an issue starting in 2014 to get approved for health insurance, many fear that the sick will only get health insurance right before a major surgery and then cancel the plan. This means that the healthy will end up paying for the sick. This will not make health insurance more affordable. In fact, it will probably make health insurance more expensive in the years to come. In California, over 7 million people do not currently have health insurance. And over 40 million people do not have health insurance in America. You can see how large California is though as far as percentage of the total uninsured. The decision last month to not overturn the health care reform, and more significantly the individual mandate, will have large affects for years to come. So what does this really mean? Starting in 2014, everyone in America will be forced to have health insurance and they will face a fine. There are certain waivers, such as being on a governmental program or getting an income waiver. But for the most part, many will be seeking health insurance in the coming months. 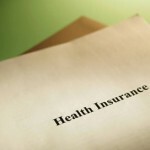 In California, many might seek health insurance through the exchange which has to be up and running by 2014. There are some critics though that say the management of the exchange will be challenging. For one, many have questions when buying health insurance and there might not be enough coverage to answer all the questions. Buying health insurance is more complex than say, getting a plane ticket. Also, when small businesses want to purchase health insurance through the exchange, who will be there to guide them. Many of these questions will be answered soon in the coming months. If you are currently on a health insurance plan, there are options to expand your coverage for your family. Many plans have great health insurance coverage for families. For instance, if you want to add your new born child to your insurance, most carriers give you about 30 days to do so. However, one important thing to note, it is usually more expensive to add a dependent then to insure yourself. Family plans come in both PPO and HMO formats. In the individual health insurance market, PPO plans are more popular and usually less expensive. This gives the flexibility to the consumer to visit any doctor they choose and most likely have coverage for it. One draw back of PPOs is that the benefits are usually less rich than HMOs. A recent report suggests that about one-third of adults worldwide are not doing enough physical activity on a daily basis. And this inactivity has lead to many illnesses and death. The study actually shows that it accounts for over 5 million deaths per year. The researchers are saying that the death toll is so high that the problem should be treated as a pandemic. 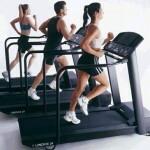 The study also showed that nations where people have higher incomes actually do exercise more. This was forecasted by the researchers because these people have the means to do more physical activity. Pedro Hallal, one of the lead researchers in the study, is hoping that the upcoming Olympics will help encourage people to do more physical activity on a daily basis. If the government makes it a public health priority, then it will definitely improve the health of the adults around the world. 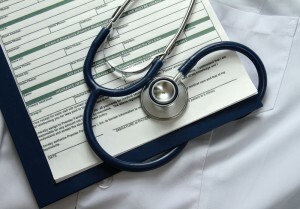 The deductible is the amount that must be met before the insurance company starts to cover expenses. For many routine visits like seeing a doctor, the deductible is waived. Meaning, make sure you check and see when your deductible will apply. The out-of-pocket maximum is the most you will have to pay per year. Once you meet this maximum, the plan covers 100% of all bills for the rest of the year. This number resets every January so be careful. It is important before you decide which health insurance plan is right for you, that you know the difference between these two benefits. Sometimes a very high deductible only makes sense if you are on the healthier side because it can be quite costly if you start to use medical services. The maximum is basically your cap for the year. So if a catastrophic event happens, the out-of-pocket maximum amount will be the most you will be charged. Each January that figure will reset. The United States is on a record year, but not for the right reasons. They are on pace for the most whooping cough cases than any other year. Whooping cough, also known as pertussis, is a bacterial infection that causes a real deep cough in children. It can be very serious if not treated right away. It is called whooping cough because that is the noise children make after they finally catch there breath from so many coughs in a row. This year so far, there has been over 16,000 cases of whooping cough. Just to put it into perspective, the entire last year reported just over 15,000. The highest ever reported and validated was in 2010 when over 27,000 cases were known. This year, we are on pace for over 30,000 cases of whooping cough. The best treatment is preventative. Make sure all children get the proper shots when they are young so they can avoid this dangerous sickness. Recently, health insurance carriers were required to add maternity coverage for their plans in California. Starting July 1st, all health insurance plans will include maternity and many consumers are already starting to take advantage. If you already have an individual health insurance policy, many plans will convert with maternity coverage at your plans’ renewal. Another important factor when thinking about getting family health insurance is the current health of your family members. Many plans have different types of coverages and also different benefit amounts for types of services. For instance, medication coverage differs greatly from plan to plan. Anthem Blue Cross has health insurance plans that have strong prescription coverage and also plans that have limited coverage. And by limited, we mean plans that have high brand deductibles which make it expensive to purchase brand medication. To really understand which plans make the most sense for your family, research the plan details under each search result for a full break down of what the plans really offer. 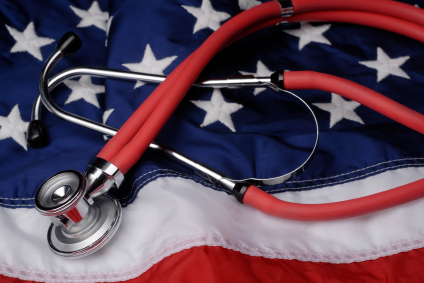 Last week, the Supreme Court ruled not to throw out the health care reform which was passed over two years ago. Two major issues were being watched by many people. The first one, was the Medicaid expansion and the qualifications to get insurance through Medicaid. And the second, was whether or not the individual mandate was constitutional. The Supreme Court ruled that the mandate is constitutional and that they will enforce the mandate as a tax. The original pitch and what was Obama’s selling point, was that the mandate would be penalized as a fee not a tax. So this decision is huge and can have some falling out by supporters of Obama. Anyone who does not health insurance by 2014, will pay $95 or 1% of their income, which ever is greater. The figures go up if you have a family that is not covered. Also, if you still do not have health insurance by 2016, the tax will go up to 2.5%. So the question here is, will people that are healthy still go without health insurance and pay the tax. Or, is the tax enough to make them change their behaviors. Most likely, the former because it still is a lot cheaper to pay the tax then pay the monthly premium on a health insurance policy. 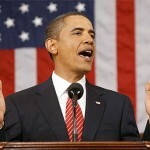 Another issue will be how each state will proceed with implementing the health insurance exchanges by 2014. Still, there are 26 states that are opposed to the ruling and it will be a challenge for the federal government to manage the exchanges without support on the state level. 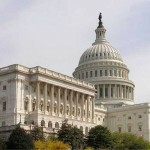 The Supreme Court is expected to rule on the health reform laws this week. Meaning, that this is a very important week for both the government and the American people. There are basically three scenarios – the whole law is thrown out, only part of the law is thrown out or everything is upheld. Most likely, many think that only part of the law will be thrown out, the individual mandate. This has been the most controversial part of the health reform laws that says everyone must have health insurance by 2014 or face a fine. Many Americans believe that the government overreached their boundaries by trying to impose this regulation. The main issue is that many can not afford health insurance. And, many feel that they are healthy and do not need to have health insurance. The ruling will have resistance either way it is ruled. If the law is thrown out, then the Democrats will push to repeal the decision, and vice versa. As we wait to see what there decision will be, the election also waits in the balance and the ruling may have significant future implications.